The White House press secretary shot down speculation that President Barack Obama’s endorsement of Hillary Clinton could present a conflict of interest with the ongoing FBI probe into the former secretary of state’s use of a private email server. 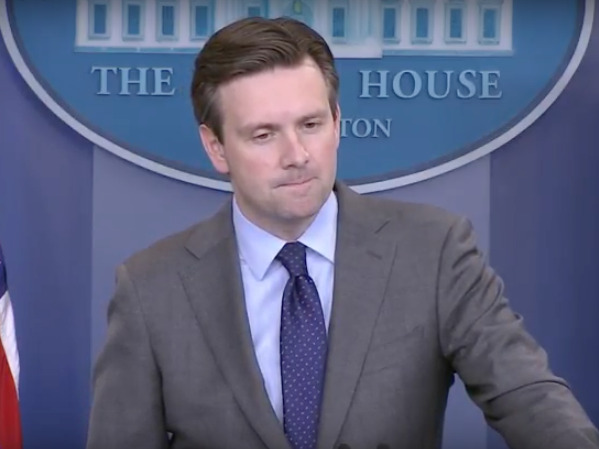 At a press conference Thursday, Josh Earnest insisted that investigators would remain impartial, despite the president’s endorsement of the presumptive Democratic presidential nominee. “There is not,” Earnest replied, when a reporter asked him if the endorsement could create a conflict with the FBI investigation. The reason that the president feels confident that he can go out and make this endorsement and record a video in which he describes his strong support for Secretary Clinton’s campaign is that he knows the people who are conducting the investigation aren’t going to be swayed by any political interference. They aren’t going to be swayed by political forces. That they know that their investigation should be guided by the facts and that they should follow the evidence where it leads. And the president has complete confidence that that’s exactly what they will do. Clinton has maintained that she has no concern about the possibility of getting indicted. She said earlier this week that there is “absolutely” no chance the ongoing FBI investigation will hurt her presidential bid.